USA down Singapore by five wickets in final game of ICC World Cricket League Division 3. Singapore came into the game knowing they needed victory – and a dominant one at that due their inferior net run rate – if they were to leapfrog USA and claim second spot. But the five-wicket defeat means they finish third, while Kenya are fourth, Denmark fifth and Uganda sixth. All four teams will now play in the ICC Men’s Cricket World Cup Challenge League A or B in the qualification pathway to the ICC Men’s Cricket World Cup 2023. 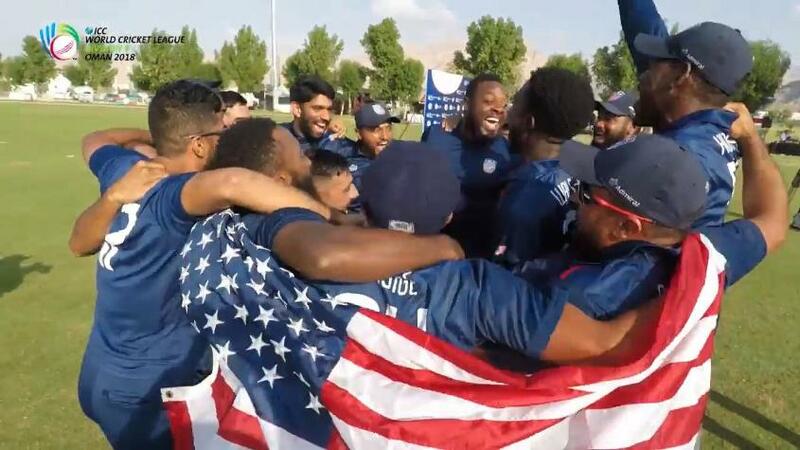 USA join Oman along with Hong Kong, Papua New Guinea, Canada and hosts Namibia in April next year for Division 2, who all will be competing for the top four spots to qualify for ICC Cricket World Cup League 2. Having won the toss and put Singapore in to bat, the USA had to toil early on in the field. Arjun Mutreja (17), Aritra Dutta (30) and Anish Paraam (20) all started brightly for the Singaporeans but, as would become a recurring note in the innings, none of them were able to kick on. No fewer than seven of their batsmen got into double figures but it was Dutta’s 30 that ended as their top score. And when new ball bowler Saurabh Netravalkar (3/19 from 8.1 overs) returned to polish off the tail, USA were in total charge – Singapore finishing 161 all out with more than six overs still to bat. In response Monank Patel (20 from 14 balls) and Malhotra got things off to a quick start and the USA did not waste their time. Malhotra’s 66 from 70 balls was the anchor while the likes of Steven Taylor (23 from 15 balls) and Jannisar Khan (24 from 13 balls) carried on the innings’ strong pace. And while Abhiraj Singh finished with 2/24, the American’s chase never looked in any real doubt as it completed proceedings inside 26 overs and with five wickets to spare. The USA therefore finish with four wins from five games – only the unbeaten Oman downed them in an impressive week of play.